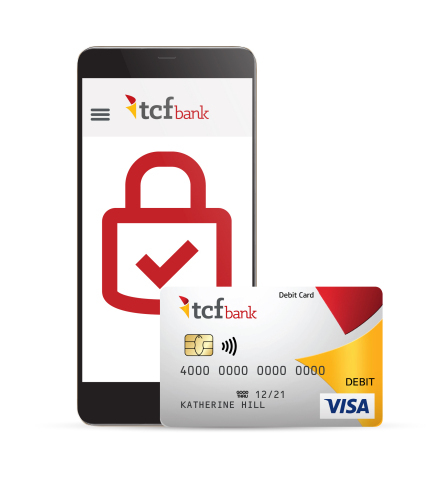 "We introduced the ability to lock and unlock debit cards in phases starting in November 2018 and customers have shown a strong interest"
WAYZATA, Minn.--(BUSINESS WIRE)--TCF National Bank (TCF Bank), a subsidiary of TCF Financial Corporation (TCF) (NYSE: TCF), today announced it is empowering its customers to lock and unlock their debit cards when they are lost or misplaced. Customers easily can lock and unlock debit cards from the convenience of their phones, computers or by visiting a branch or calling its contact center. 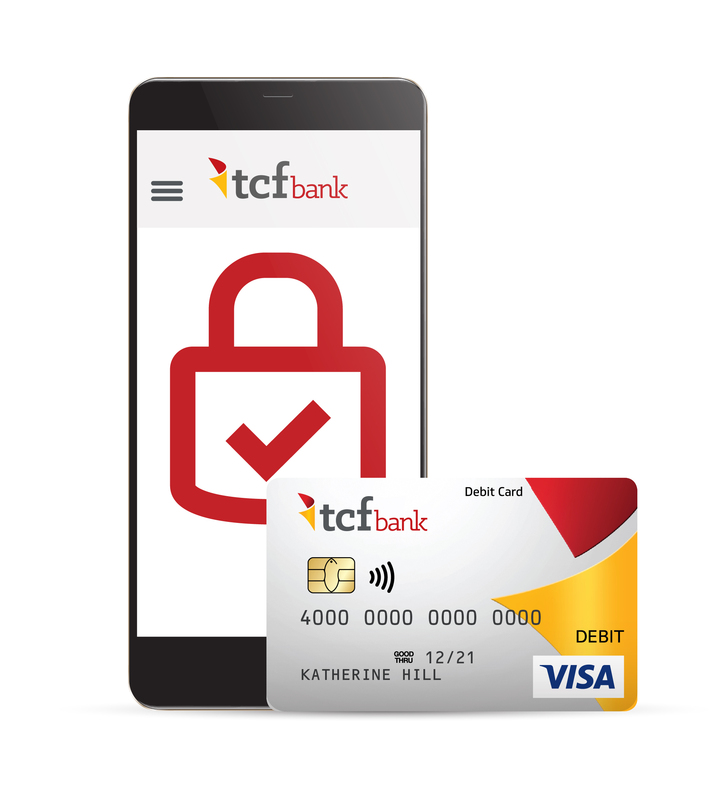 Customers can lock and unlock debit cards by logging in to TCF Bank’s online banking or mobile app, selecting “My debit cards” and moving the setting to “Locked” or “Unlocked”, by visiting a branch, or by calling its contact center and following the automated prompts. When debit cards are locked, transactions made at ATMs, in store, online, by mobile payment and by phone are declined. Pending transactions, direct deposits, money returned to accounts through store returns, and money deposited through money transfer apps process when debit cards are locked. 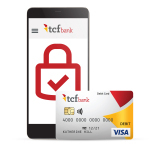 For more information about TCF Bank’s debit card lock and unlock feature, visit tcfbank.com/cardlock. TCF is a Wayzata, Minnesota-based national bank holding company. As of December 31, 2018, TCF had $23 billion in total assets and 314 bank branches in Arizona, Colorado, Illinois, Michigan, Minnesota, South Dakota and Wisconsin, providing retail and commercial banking services. TCF, through its subsidiaries, also conducts commercial leasing and equipment finance business in all 50 states and commercial inventory finance business in all 50 states and Canada. For more information about TCF, visit tcfbank.com.